Kodi and Firestick are a match made in heaven until buffering strikes. We'll show you some simple fixes to stop Kodi buffering on your Firestick or Fire TV. Kodi is one of the easiest ways to set up your own home media center. It’s a free, open source software package that has become known for its huge versatility. Kodi can be installed upon a wide range of devices, including PC, iPhone, Raspberry Pi, flash drive, Roku, Apple TV, and Amazon Fire TV or Firestick. While Kodi is very simple to install and configure, sometimes you’ll find that when it comes to playing media, there are Kodi buffering issues which prevent you from getting the full experience. The video might play for a few seconds before stopping, or worse, never finish loading in the first place. In this article, we’ll be explaining some of the things that cause Kodi buffering issues and showing you how to diagnose and fix these problems so that you can fully enjoy the hardware that you’ve paid for. Some of these issues negatively impact Kodi regardless of the platform it’s installed on. However, portable devices like the Amazon Firestick or Fire TV have fewer resources at their disposal and may require some additional configuration to use them as effectively as possible. Kodi has garnered something of a negative reputation in the media recently, but it is actually completely legal to use. The problem that copyright holders and the Kodi development team share is that some third-party addons have been providing unrestricted access to licensed content. Before you attempt to use Kodi, it is imperative that you research your country’s legislation regarding streaming content online. This will help reduce the risk of accidentally getting yourself into trouble. You should also use a VPN which can help avoid security issues such as Man in The Middle attacks and will prevent your ISP from snooping on your activity and throttling your connection. A VPN can also resolve Kodi buffering issues if your ISP is throttling your connection, more on that later. Many VPNs work with Kodi but we recommend IPVanish for a number of reasons. It’s one of the few VPNs fast enough that it won’t slow speeds significantly, it is easy to install on a Fire Stick or FireTV and it doesn’t log your activity so scores well for privacy. We’ll go into more detail on VPNs and how they can prevent buffering, later in this article. BEST VPN FOR KODI & FIRESTICK:IPVanish is easy to use with Kodi & Fire Stick. Offers strong privacy and security with a huge number of IPs and servers plus additional protection against DNS leaks. Fast speeds. 7-day money back guarantee. What causes Kodi buffering issues? There are several reasons that you might find it difficult to stream media from the internet. Most commonly, there is a problem with your internet connection. This issue affects Kodi regardless of which device you’re using and can be quickly diagnosed once you know what to look for. It’s is that your device isn’t powerful enough or isn’t configured correctly. This is usually only an issue on portable devices such as the Chromecast or Firestick. However, there are some other concerns you may want to consider. These can include server issues from the website offering the video streams, cryptocurrency mining malware on your device that could be using your bandwidth or causing buffering issues, others using your wifi or network bandwidth, or issues with the Kodi addons that you’re using. It’s also possible that you’re using an older version of Kodi that isn’t optimized (the current, stable version of Kodi is version 18 Leia). The first thing to test is your network speed. This will provide you with your average upload and download speeds over the course of the test. The upload speed isn’t important for streaming, but a strong download speed is crucial. Generally, if your download speed is too low you’ll notice buffering issues on streaming sites across all devices connected to your network. So what constitutes a reasonable network speed? Netflix recommends at least a 1.5 Megabits per second (Mbps) connection for general internet usage such as checking Facebook or reading the news. This doubles to 3Mbps when streaming standard definition (SD) content, and rises to 5Mbps for high-definition (HD) content. If you’d like to watch a show in ultra-high definition (known as UHD or 4K), you’ll need a whopping 25Mbps connection. If you’ve already run a speed test and found that your network is fast enough, it’s likely to be a problem with your hardware, so you can skip to the next section. If your network speeds are too low, there are a few things you should check. Firstly, what speeds does your current internet package advertise? Internet service providers (ISPs) often use clever wording to sell you lower speeds than they claim, but your actual speeds should be roughly in the same ballpark. If you are receiving far lower speeds than you pay for, make a note of this and should our other suggestions fail, call your service provider as there could be a problem on their end. Next, check to see if anyone else in your home is using the internet to watch videos, listen to music, or make video calls. These activities use a lot of bandwidth and can severely impact the quality of your Kodi streams. If someone is doing these things, ask them to stop and try using Kodi again to see if this is the issue. You should also check how far away you are from your router and modem. WiFi signal strength decays the farther away from the source you are, and thick walls can drastically reduce the effectiveness of wireless internet signals. If you’re connected to a very weak network, you might want to consider purchasing a WiFi repeater or connecting via Ethernet cable if your device permits it. Assuming your network strength is fine, it’s time to use the old IT worker’s fallback. Try turning your router and modem off at the wall, leaving it for a minute, and turning it back on. Sometimes, technical problems occur and for whatever reason, doing this can fix them. Once you’re able to connect to the internet again, try running another speed test and streaming on something other than your Kodi device to see if your speeds have improved. Assuming the speeds haven’t improved and there’s no issue with your ISP, you have two options. You can either upgrade your broadband package to one that provides higher speeds or you can try lowering the quality of the video you’d like to stream. You can quickly see if this works by going onto YouTube and trying to play a video at 360p resolution. If you’ve tried all of the above solutions and still see no improvement, there’s likely an issue with your Firestick or Fire TV settings. Don’t worry; this is easily solved and should only take a few minutes. We’re going to begin by installing the Ares Wizard Kodi addon. Once installed, open it up and click the Tweaks tab at the top of the screen. Next, click on the Advanced Settings Wizard option on the left-hand side. The Ares Wizard will now explain what a cache is, and suggest a recommended size for it based on the device you’re currently using. Scroll down the page and click on the Generate settings button. You’ll see cache size, CURL timeout, and read buffer factor values which are tailored to your device. Click on the button at the bottom which says Apply these settings. Finally, restart Kodi and try streaming again to see if your issue has been resolved. Did you know that some ISPs intentionally limit their customers’ internet speeds to try and prevent them from streaming video? This throttling can happen regardless of how much you pay for your package or if you’re only watching content from official sources. Essentially, they can analyze your network traffic and if they find you streaming video, they can automatically reduce your speed. Depending on where you live, you may be stuck paying money for a service that fails to live up to your expectations. Thankfully, you don’t have to put up with it. By connecting to a virtual private network (VPN), all of your internet traffic is encrypted. This prevents your ISP from seeing exactly what you’re doing: they’ll know that you’re downloading something but can’t tell if it’s a large file or video data. As result, they’re less likely to use their automated tools to limit your internet speeds. There are free VPNs available, but in the past some of these have been discovered to contain malware. Even if it’s virus free, there’s a chance that they’ll come with bandwidth caps or slow your browsing speed to a crawl, so it’s important to choose a VPN service that can deal with the high bandwidth that Kodi requires. We recommend using IPVanish. It’s one of the most popular VPNs among Kodi users and for good reason: IPVanish creates and maintains its own infrastructure. This allows it to provide some of the most stable, highest internet speeds of any VPN service. They offer the ability to connect to servers in more than 50 countries too, so geo-locked content is no longer a problem. Simply connect to a server in the required country and you can browse its media to your heart’s content. IPVanish is serious about the privacy of their users. They don’t keep any logs of your traffic which means that even if your ISP asked them what you’ve been doing, they’d be unable to say. Additionally, this is the only large, reputable VPN that is included in the Amazon Firestick and Fire TV default app store, so there’s no difficult configuration or side-loading needed. Just install the app, enter your login details, and you’re instantly protected. FAST AND RELIABLE:IPVanish has a large network of servers. Uncongested network achieves good speeds. Strong security and privacy features make IPVanish a favorite for Kodi and Amazon Fire Stick. 7-day money back guarantee. 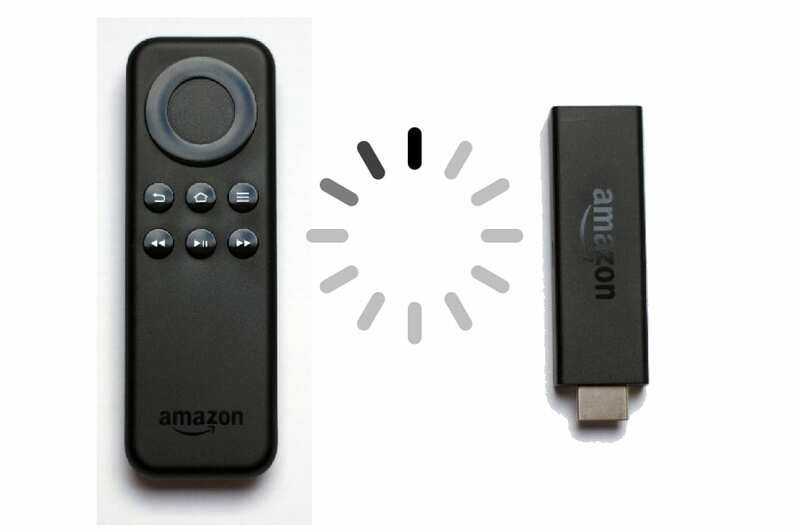 There are many different reasons why you might encounter a buffering issue while using Kodi on an Amazon Firestick or Fire TV. Some of these are caused by your network or your ISP’s throttling policy while others are due to Kodi not being optimized for your hardware. There is one thing that each of these problems has in common, however: they are all resolvable if you’re willing to invest a small amount of time. Once these issues are taken care of, you’ll be able to watch content on Kodi as much as you like and without any troublesome stuttering or buffering. Is there a technique you’ve used to fix these problems that we haven’t listed here? If so, leave a comment below and we’ll give it a try. 2 What causes Kodi buffering issues?